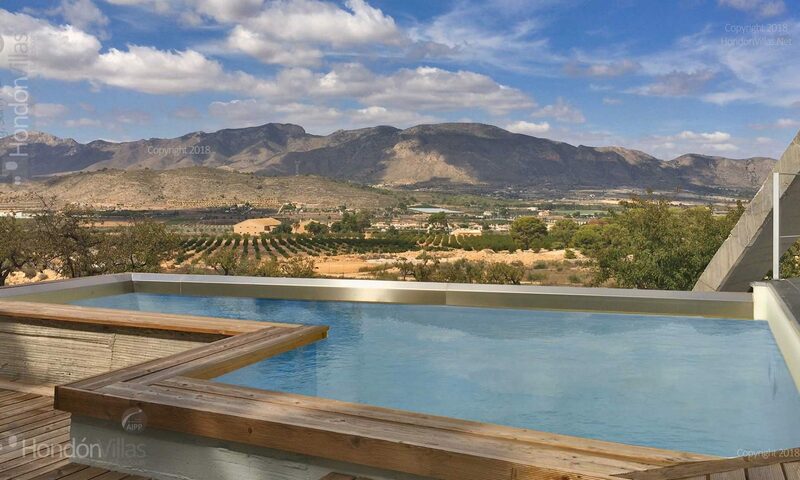 Hondon Villas are delighted to bring onto the market for sale this totally reformed 6 bedroom, 4 bathroom Finca which lends itself to a B&B business option. You enter the property via a covered terrace into the modern open plan lounge/diner/kitchen.This area also has 3 bedrooms, 1 of which has an en suite and a family bathroom. There is a further lounge/ dining room with a log burner and the main kitchen. This area also boasts 3 further bedrooms and another family bathroom. Externally the property boasts a 8000m2 plot size which offers a 8×4 private swimming pool, an outside bathroom, workshops, a 3 car carport, a small pond and many fruit and palm trees. There is a large roof top solarium with a BBQ where you can enjoy the weather and the views.